Five of our Authors will have 6 Collector’s Gift Packages available for their publications at the Holiday Bazaar at Si View Community Center tomorrow. These editions will be very limited and are handmade and/or designed by the Authors. Get them while you can! The sale is Dec. 7th 10-3. 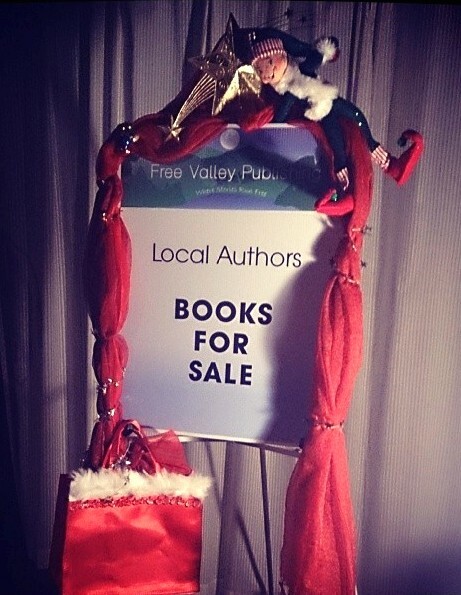 And you can contact us at FreeValleyPublishing@gmail.com if you’re interested but can’t make it to the sale. Here’s a sneak peek at our sign for the sale and Victoria Bastedo’s and Kennedy J. Quinn’s packages. More images will be added for the others as soon as they are available. 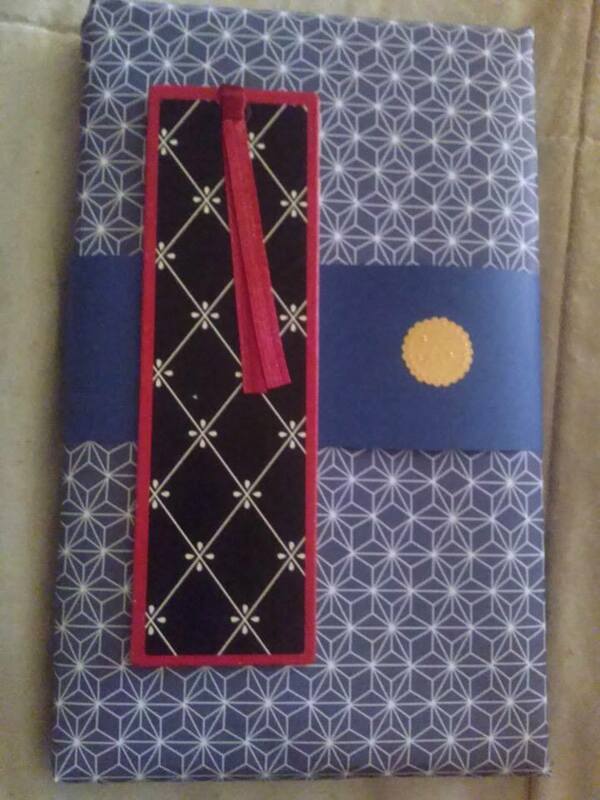 Victoria Bastedo’s SUNRISE MEETS THE STAR features bookmark and Sun/Star themed custom wrap. 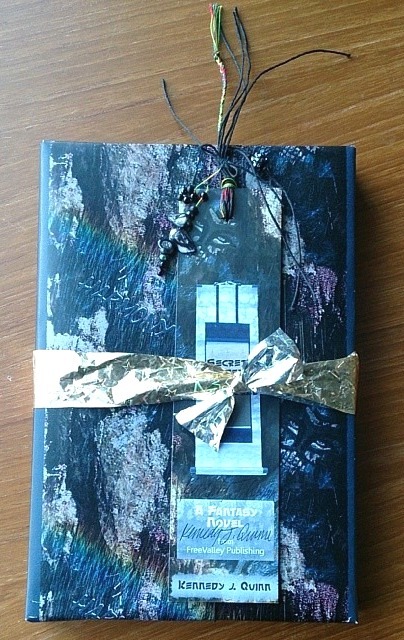 Kennedy J. Quinn’s SECRET ORDER OF THE OVERWORLD features custom designed wrapping paper with theme ‘Harmony’ on it, a hand-embellished signed bookmark with beads and rainbow braid, a Mylar gold and silver prism-star bow or rainbow prism Mylar crinkle accent.. This entry was posted in Events and tagged Book collectors, Gift packages, Holiday Sale, Limited Editions, special editions by freevalleypublishing. Bookmark the permalink. Reflections on Water will be available with postcards. Great job guys, those look professionally done!